Developer and solicitor Noel Smyth is planning to bring more than €100m worth of new residential developments to the rental market. Smyth's Fitzwilliam Real Estate Capital intends on building up to 400 'build-to-rent' units across four separate sites in Dublin, according to a source familiar with the company's plan. It follows the sale of the group's retail development on Henry Street to asset manager DWS for €44m last week. The building had been pre-let to fashion retailer Next. Fitzwilliam owns two residential sites in Sandyford and one in Dun Laoghaire in south Dublin. It also owns another site in Glasnevin, on the north side of the capital. It is understood the company is looking to 'forward fund' any proposed development, meaning that Fitzwilliam will try to sell out the block in its entirety before beginning construction. A source said that market conditions meant that it favoured dealing with institutional investors. Build-to-rent has become increasingly attractive to investors and has become particularly popular in Dublin. It describes a model whereby developments are purpose-built for long-term renters and managed by professional landlords. 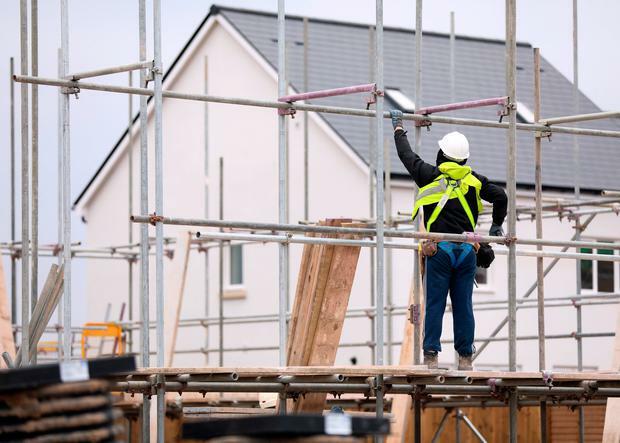 Changes to planning guidelines that mean apartment blocks can now be higher with fewer windows have caused a surge in the build-to-rent sector. The Fitzwilliam group is also closing in on an operator for its hotel above the Arnotts car park. The company secured planning permission to build a 257-bedroom hotel beside the landmark store last July. It is understood that the company was in discussions with three potential suitors, two from the UK and one from Portugal. Fitzwilliam is building another 310-bedroom hotel at the junction of Middle Abbey Street. It has entered into an agreement with German boutique operator Motel One for this property. Elsewhere, Richard Barrett's Bartra Capital has lodged plans for 725 new bedspaces at its development in Cookstown, near Tallaght. The development contains 150 build-to-rent units as well as a further 222 'shared living' units. Shared living differs from that of build-to-rent in that each unit is self-sufficient with washing and cooking facilities but has shared communal spaces in the building.